How to Celebrate the Holidays in Orlando – Destination: Central Florida! Traveling to Orlando for the holidays? Spend the season at Balmoral Resort and use our guide to help make the most of your winter escape. While local temperatures stay warm year-round, there is no shortage of holiday cheer to be found at our resort near Orlando. This year, enjoy a full calendar of on-site and nearby holiday programming when you stay at Balmoral Resort. From festivals and celebrations to family fun events, add some holiday magic to your winter vacation in Orlando. Use our guide below to explore the best things to do during the holidays in Orlando. Stay at Balmoral this holiday season and enjoy exciting holiday programming, perfect for the whole family. From December 15 to 23, enjoy the Balmoral Jingle Nights, held on the weekends. On December 15 and 22, bring the kids over for cookies, cocoa, and pictures with Santa. On December 16 and 23, feel the holiday magic at our Christmas movie nights. Those staying with us on Christmas Day be sure to reserve a seat at our Christmas Dinner. Guests will enjoy an elaborate spread in a cheerful holiday setting. Central Florida offers locals and visitors alike a variety of holiday activities, celebrations, and experiences. Head over to the town of Winter Haven for the 2018 Snow Central festival. Held on December 14, this local event features more than 70 tons of real snow, food trucks, pictures with Santa, and more. A hallmark of Christmas in Central Florida, the Holiday Home Tour at Pinewood Estate is a must for anyone visiting the area. From November 23 to January 6, step back in time to the glamour of a bygone era at the beautiful estate in Bok Tower Gardens, decorated for the holidays. No holiday stay in Central Florida is complete without a stop at LEGOLAND®. On select dates from December 1 to 31, enjoy an array of holiday programming, including the famous Christmas Bricktacular and Kids’ New Year’s Party. See the most magical place on Earth transform for the holidays. 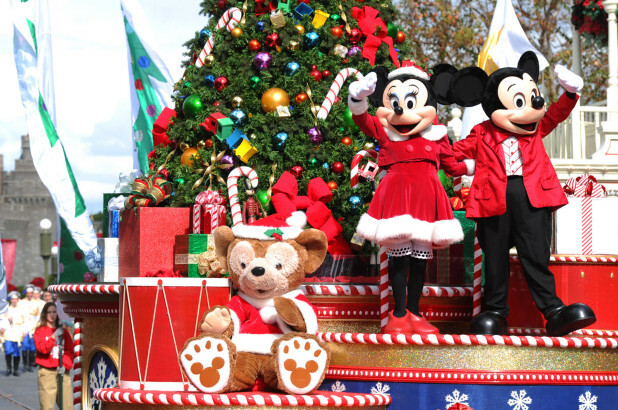 Treat your family to an extra dose of holiday cheer at the Disney parks, found near our Orlando resort. Celebrate the season with Mickey in Magic Kingdom at Mickey’s Very Merry Christmas Party on select nights in November and December. Or broaden your horizons at Epcot’s International Yuletide Extravaganza, featuring live musical productions, seasonal food and drink specials, and more. Explore these events and more during your holiday in Orlando. Get in touch with our team to start planning your holiday escape at Balmoral in the heart of Central Florida.